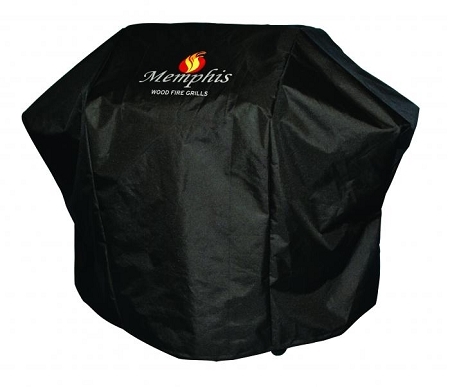 Protect your Memphis Advantage wood fired grill with this heavy duty cover. Water-proof and sun-proof, made to withstand the elements! Memphis Grill Cover For Advantage Plus Series On Cart Grills - VGCOVER-3: Extend the life and quality of your Memphis grill with a matching grill cover. This grill cover is designed to properly fit and protect Memphis on-cart grills, making it an essential part of getting the most out of your Memphis grill.